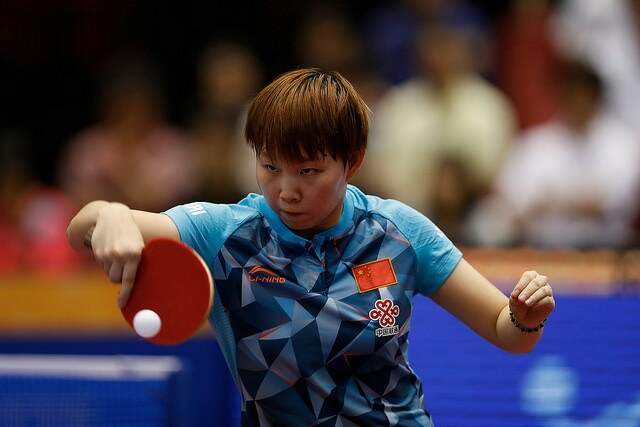 No place in the Singles category for Rio 2016, but Liu Shiwen remains as the world's top ranked female player and subsequently will enter the 2016 ITTF World Tour SheSays China Open as the first seed. Leaving Liu Shiwen out of China’s Singles lineup for the 2016 Olympic Games sparked a sense of confusion around the globe- it’s not very often that a world number one athlete is left out for a lower ranked player. That was China’s decision, and in the end China took both the gold and silver medals in the Women’s Singles event. Now just under a month after the Games have concluded, the 2016 China Open presents Liu with the perfect chance to demonstrate her strengths; what better place to impress than in front of her home crowd? Liu has won the category at the China Open twice and has also picked up multiple ITTF World Tour trophies throughout her career. Similarly to the Men’s Singles category, the Women’s Singles will see Chinese players take the top four seeding positions posing a potential threat to Liu Shiwen’s title challenge. The 2015 China Open champion Zhu Yuling will make a return to Chengdu where she will fight to defend her gold. Last year Zhu stunned spectators by beating Liu Shiwen and Ding Ning back-to-back to seal the Singles trophy, having never progressed beyond the quarter-final stages of the category in the prior China Opens. Ding Ning has been seeded second and the new Olympic champion will aim to avoid replicating her 2015 exit, where she suffered a 0-4 loss to Zhu Yuling in the final. The fourth seed is Chen Meng who may be a wildcard challenger for success, due to the fact that she’s won a World Tour tournament in China on two previous occasions. There are another two Chinese players seeded in the top 20, with Wang Manyu and Chen Xingtong sitting 16th and 17th respectively. China, as expected, have a good number of players seeded in the top 30; the staggering fact is, however, that Asia as a whole makes up 29 of the top 30 seeds at the 2016 SheSays China Open. Players such as Hina Hayata (Japan), Doo Hoi Kem (Hong Kong) and Yang Haeun (Korea Republic) will be hoping for a successful tournament; with nine competitors from Chinese Taipei also in the top 30 there could be one or two surprises awaiting the title favourites. Shan Xiaona of Germany is the only non-Asian player in the top 30 seeds (sixth); with the pressure of a continent resting on her shoulders, can Shan deliver a solid showing in Chengdu?